Faints at the sight of the doll and costume in the first link. OMG the detail in that lady's work!!!!! GORGEOUS!!! All she needs are some better shoes. I keep going back to look at that doll. That is a gorgeous Christine doll in the first link! Really nice work on the costume details. That reminds me of an old site, Alicia's Creations. She made some fantastic Phantom dolls back in the day. Amazing sculpted details and impeccably crafted clothing/props. I know fan who owns one of these Phantom Veil dolls and I would give just about anything to have one, too. That TOM doll is so lovely. Gorgeous. And though they're nothing to do with Phantom, the Renaissance-inspired dolls on the site are beautiful too. Wonderful I like it very much, wish I could have one of them! 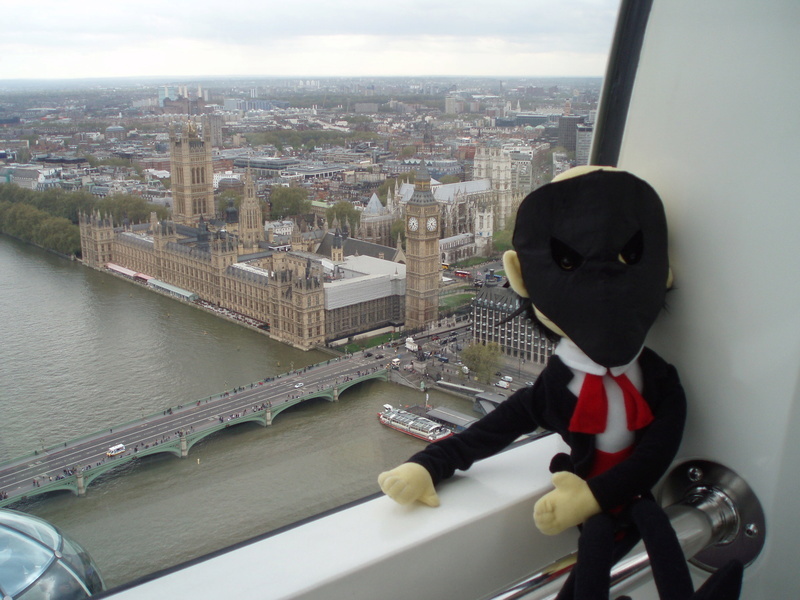 Several years ago, Erik plushie dolls were a Thing. Does anyone have one, or a photo of one? They are too cute. Love them cooperating with the organ! Where did you take the last photo? If I had to guess, I'd say a glass table in a church somewhere, but it's a perfect water effect! It is entirely possible that I need...need...a plush Erik. Riene, all the photos are taken in a cathedral. 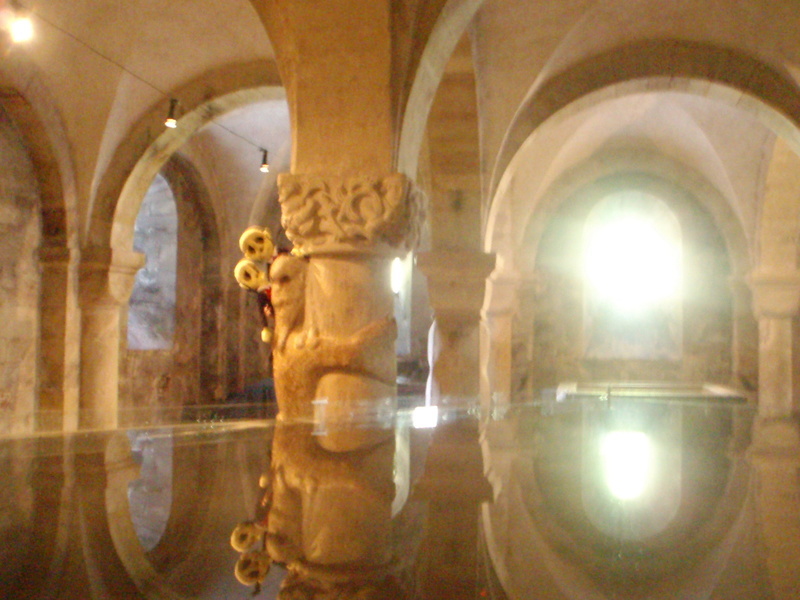 The last one in the crypt, where there was an exhibition with a water installation, which gave some wonderful effects. Just a pity I'm not a very good photographer! 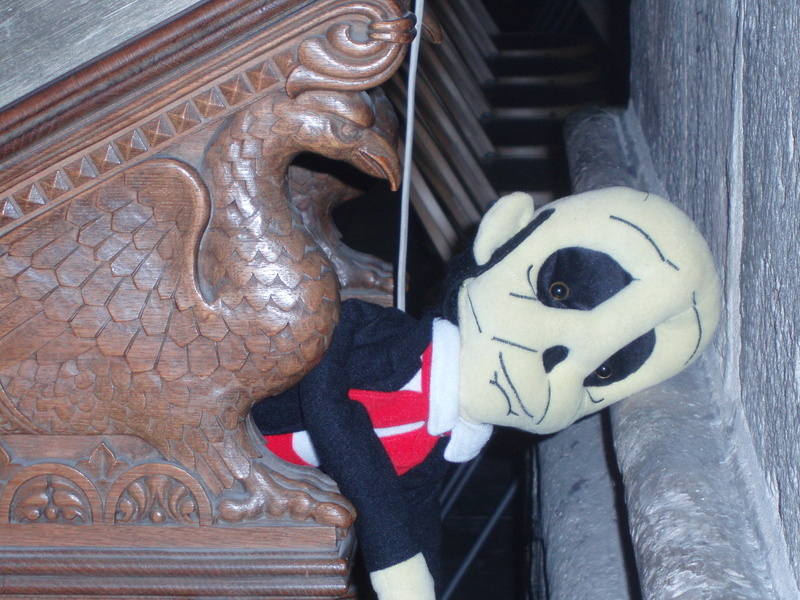 Hanging around in the cathedral, this lectern looked vaguely familiar. 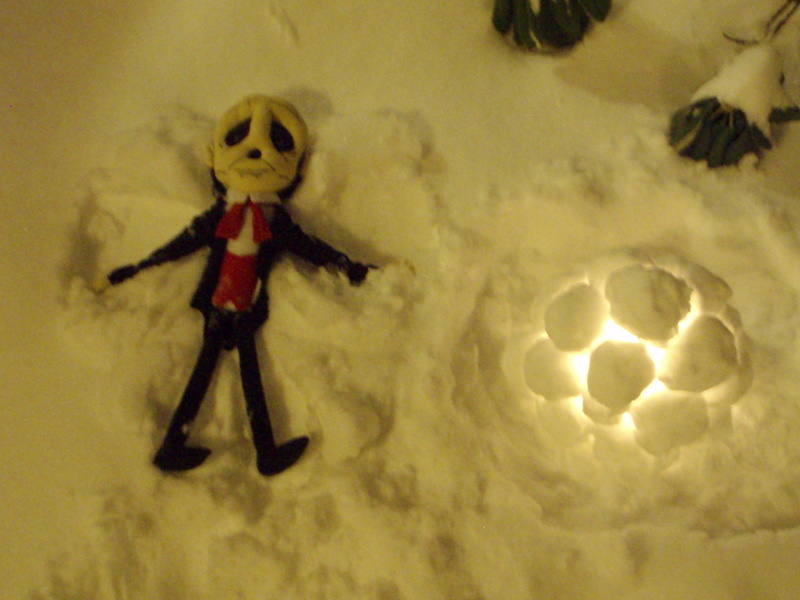 Making snow angels in winter.... who'd have believed it? 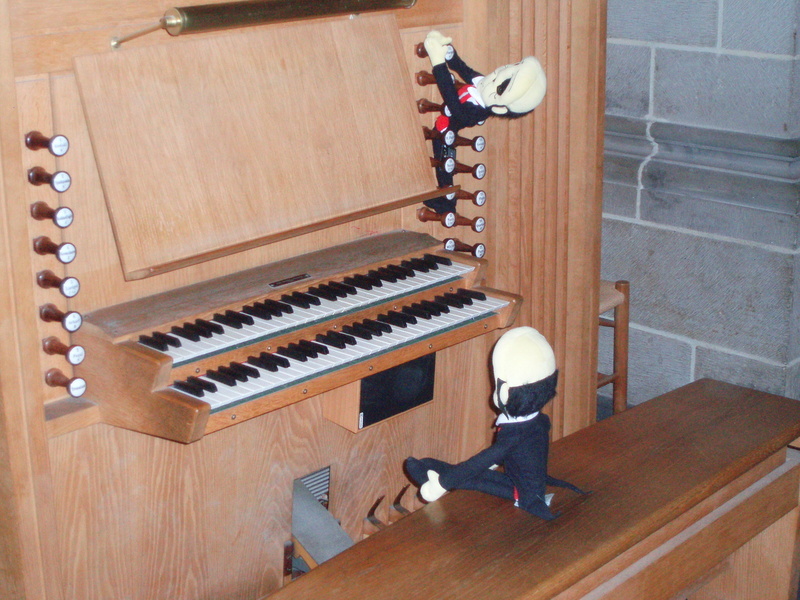 Love the (description of the) image of the two Erik plushies cooperating at the organ. Awesomely adorable! I have a couple of Erik plushies too. I'll post pics as soon as I can get some one to help me make sure I'm pointing my iPad the right way LOL! :-) One's a Leroux Erik plushy that I bought from Bleeding Heart Conservative a few years ago as a birthday present to myself. And the other's an ALW Erik plushy that Mom bought me for my birthday years and years ago, back when the Avon Boutique still existed! 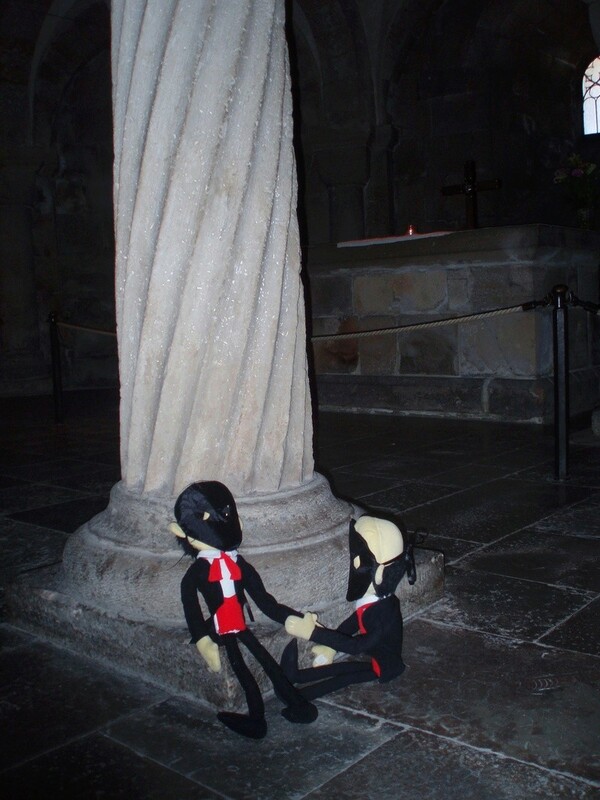 Blind Phan wrote: Love the (description of the) image of the two Erik plushies cooperating at the organ. Awesomely adorable!